This is the set that more of our customers prefer than any other. 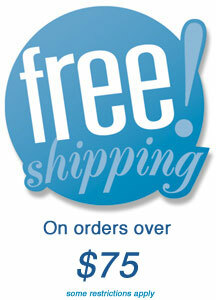 They are no longer being produced but we have a few in stock at a special low price. 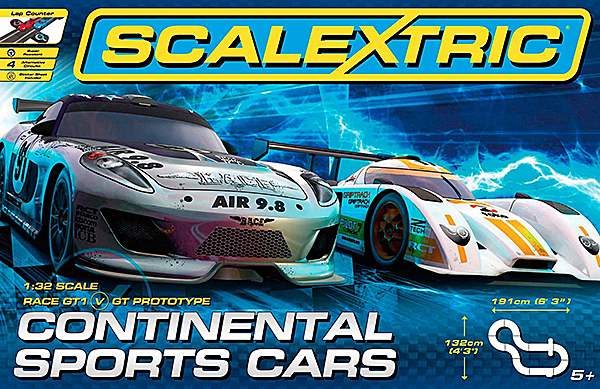 Upgrade the Scalextric C1319T Continental Sports Cars set (above) or bring your own Scalextric track up to Digital with this C7042DC Upgrade Package. This incredible Powerbase allows you to race either Scalextric Digital or, by just pressing a button (and taping the lane changer flaps shut), to race two of any brand of analog car. The C7042DC “package” includes everything to upgrade your track—the Digital Plugs to convert the cars must be purchased separately. 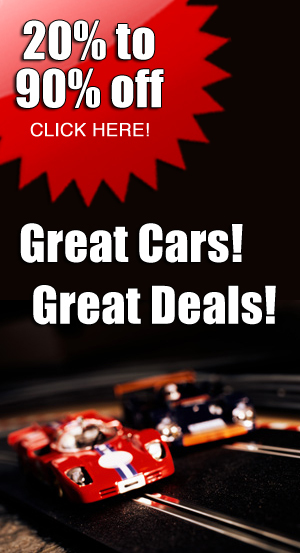 Save $80.00 on this package deal. This new Powerbase can be used in Analogue or Digital power modes. This great feature allows the Powerbase to be used with standard 2-lane Scalextric circuits, using two cars only, or with Scalextric Digital layouts for 1-to-6 car action. All features are available in either mode. Now the best of both worlds is offered – an all-in-one race control system for Analogue and Digital racing. Requires the 15V Power Supply sold separately (P9303) and two Scalextric Digital throttles (C7002)—also sold separately). 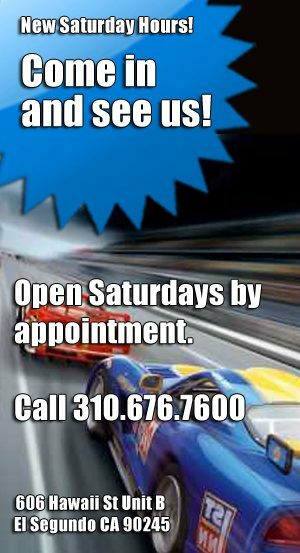 You will also want one or more C7036 Lane Changers. If you upgrading an existing Scalextric Digital track you will need the C7042 and the P9303 Power Supply but you can use your Scalextric Digital throttles (analog throttles will not operate the system). 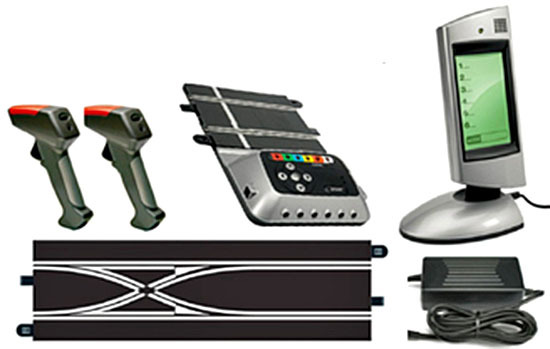 NOTE: If you want a complete Scalextric Digital track conversion you can purchase the C7042DC (note the “DC” on the part number and the special price) Package that includes the C7042, P9303 Power Supply, two C7002 throttles, PLUS one C7036 Lane Changer. Add this GT40 with Le Mans history to your racing stable at a dirt-low price. 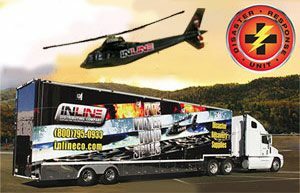 1/32 scale slot car, ready to run on all 1/32 and 1/24 scale non-digital tracks. 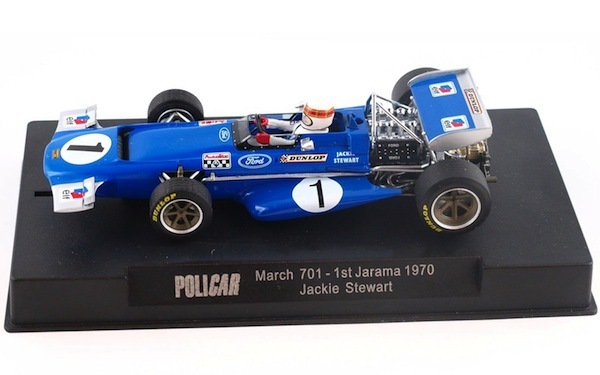 The March 701 Formula 1 car was most dramatic in the bright blue color on Jackie Stewart’s car and we have the Policar replica with the same chassis design that makes their Lotus 72 so quick. Order yours now. March 701 Jackie Stewart, Jarama GP 1970, first place. 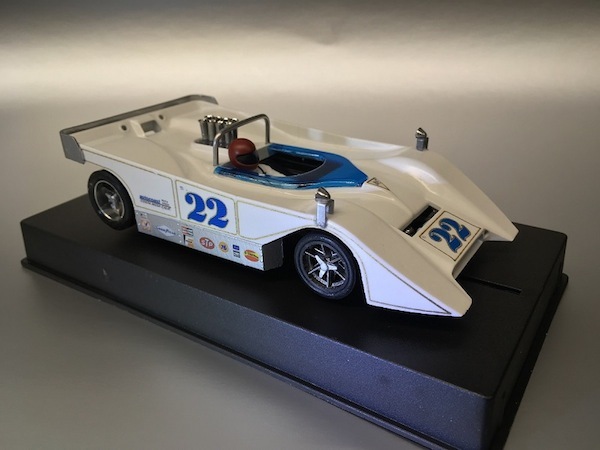 The Autocoast T122 was one of the few cars to challenge the McLarens in the 1969 Can-Am and the first 1/32 scale model of car is here now. Two new Mr. Slotcar McLarens with their most colorful liveries are here so you can order yours now. MRSLOTCAR 1/32 Analog RTR McLaren F1 GTR Fina Livery LeMans 1996 – Setscrew Aluminum Wheels all 4 corners – Independent front axle suspension feature MR8025 (optional at extra cost) – Tunable spring suspension motor pod (springs available separately) – NEWLY DESIGNED Anglewinder 21,500 RPM LONG CAN high torque balanced motor – brass pinion drivetrain – Setscrew Plastic axle gear – Screw mount guide system – Adjustable front axle/wheel ride height – Machined bronze axle bushings – 3/32″ (2.37mm) hardened axles – Traction magnet – Press fit rear wing and rear view mirror mounting systems – OPTIONAL front suspension setup shown in illustrations. 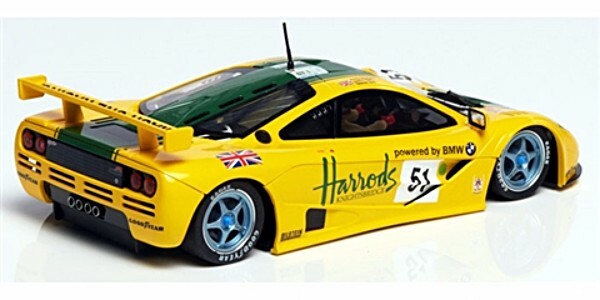 MRSLOTCAR 1/32 Analog RTR McLaren F1 GTR Harrods Livery LeMans 1996 – Setscrew Aluminum Wheels all 4 corners – Independent front axle suspension feature MR8025 (optional at extra cost) – Tunable spring suspension motor pod (springs available separately) – NEWLY DESIGNED Anglewinder 21,500 RPM LONG CAN high torque balanced motor – brass pinion drivetrain – Setscrew Plastic axle gear – Screw mount guide system – Adjustable front axle/wheel ride height – Machined bronze axle bushings – 3/32″ (2.37mm) hardened axles – Traction magnet – Press fit rear wing and rear view mirror mounting systems – OPTIONAL front suspension setup shown in illustrations. The Slot.it Alfa Romeo 155 with a new body to match the 1996 cars is due early next year so you can pre-order yours. Slot It SICA45a Alfa Romeo 155 Ti – #19 – Silverstone – ITC 1996 Classic DTM—PRE-ORDER NOW! 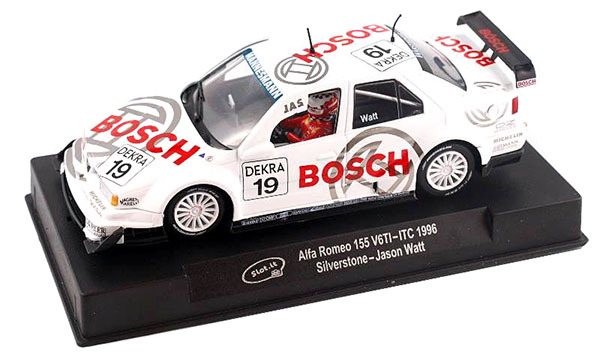 Slot It SICA45a Alfa Romeo 155 Ti – #19 – Silverstone – ITC 1996 Classic DTM, driver Jason Watt. New body to match the 1996 full-size Alfa Romeos. It’s often the little things that make the difference. Loose body screws are a common “Speed Tweak” but the body rattle sets up its own wheel-hop-increasing factor. Dampen those vibes with these silicone washers. PMTR7024 Professor Motor Silicone Insulating Washers x 10—PRE-ORDER NOW! Professor Motor Soft Silicone Insulating Washers for Body to Chassis Isolation – 10 Washers / Package – 1.5mm thick – Usable with most cars in the body to chassis interface and / or the motor pod to chassis interface areas. The unique characteristics of this material allow it to repeatedly compress and expand without taking a permanent set for maximum durability.